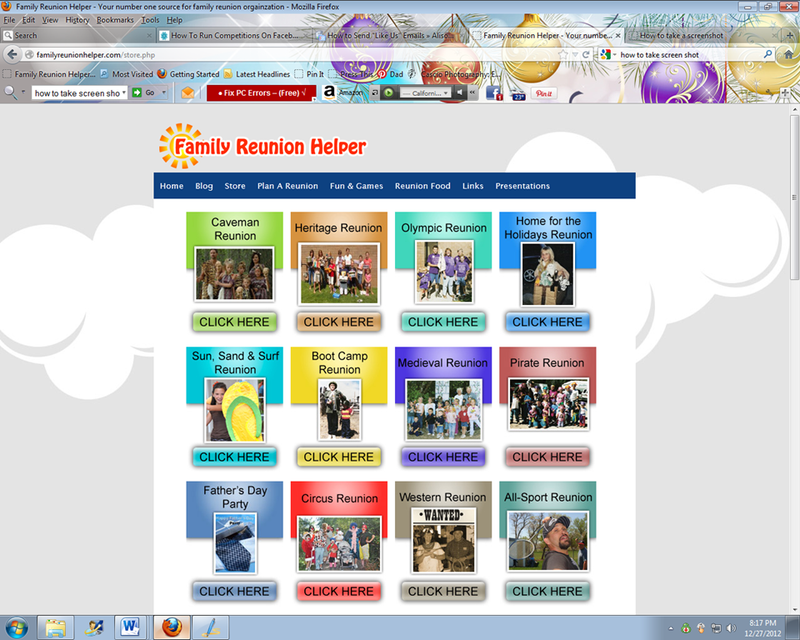 Like familyreunionhelper.com on Facebook and you could win a FREE family reunion theme package. New likes to our Facebook page are automatically entered to win a free family reunion theme package. Winners will be notified on Facebook. One lucky Facebook fan will win a free family reunion theme package when we have 500 “likes”. Choose from any of our $19.95 reunion or party theme packages and if you’re one of our fortunate fans you’ll receive it for free! When we receive 1,000 likes, a special code will be revealed that will give every familyreunionhelper.com fan a coupon code for 25% off their familyreunionhelper.com theme package. This entry was posted in Facebook, Family Reunion Contest and tagged facebook promotion, Family reunion contest by Aunt Mo. Bookmark the permalink.